1. MOST CLICKED LINK: “Stunning” by Emily and The: An absolutely gorgeous project – what a beautiful modern take on a doily! 2. 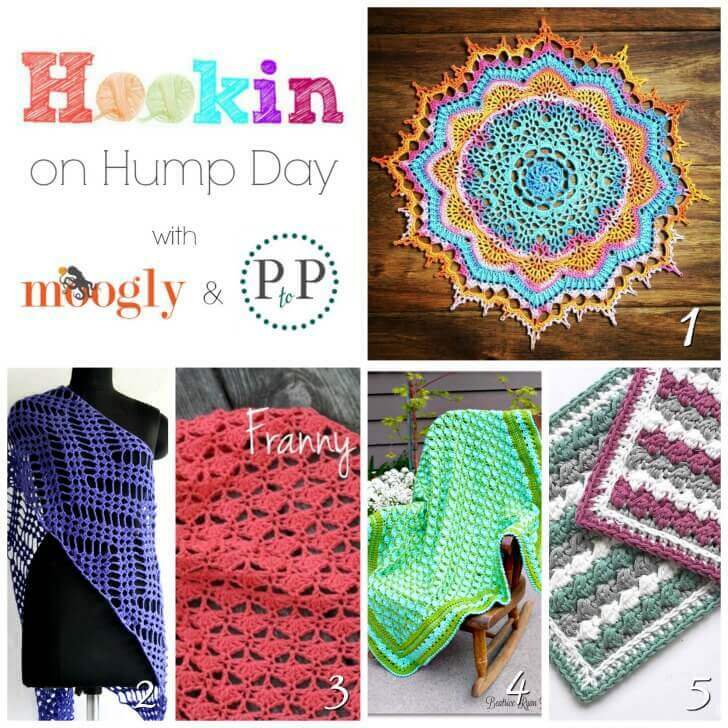 Zigzag Wrap by The Lazy Hobbyhopper: A beautiful FREE crochet pattern! 3. Franny Crochet Blanket by Busting Stitches: A lovely and light FREE crochet pattern! 4. Frog Pond Baby Blanket by Beatrice Ryan Designs: Fun, summery, and FREE crochet pattern! 5. Raspberry Ripple Sampler Square by Emmy & Lien: Pretty FREE crochet pattern – with photo tutorial and chart!